FOUR PAWS US Our StoriesPress ReleasesHurricane Season Starts in 2 Weeks, Is Your Family Prepared? Hurricane Season Starts in 2 Weeks, Is Your Family Prepared? BOSTON – May 11, 2018. In honor of National Animal Disaster Preparedness Day, FOUR PAWS highlights the importance of disaster preparedness. This is fitting considering typhoon and hurricane seasons begins in just approximately two weeks. Happening now, Hawaii is continuing to suffer from a devastating volcanic eruption while Indiana and other states are reeling from dangerous floods. This reveals the importance of planning ahead. Fires, floods, and hurricanes can be a danger not only to humans, but to animals. Disasters can strike in any place, at any time, and often there is little or no warning. Most government agencies such as the Federal Emergency Management Agency (FEMA) strongly encourage each household to have a predetermined emergency plan (and an emergency bag for every member of the family) in case of an evacuation from their home, neighborhood, town or city. Your pets should be a part of this plan. FOUR PAWS, the international animal protection organization, has put together some tips to help you be the most prepared for anything that should come your way! Plan for your pet BEFORE a disaster strikes and make a disaster kit. Your disaster plan and kit will help you in determining how you will get out in case of an evacuation (which type of transportation, car, train, etc. and if they can take pets), and where you would go and meet (making sure again these places, whether a hotel or a relative’s home, does accept and have room for your pets). Lastly, making sure that all family and household members know the plan is important. Each family member should be aware of how to act safely and what action steps to follow. Leaving a clear plan in place is the most effective way to securing the survival and safety of each member of your family, pets included. Food and water for at least five days, food bowls, a blanket, trash bags to collect your pets' waste, a sturdy collar, harness, and leash. If your animal uses medication, make sure you store a supply of medication as well. Up-to-date contact list including: Veterinarians (your local vet and two vets in opposite directions up to 50 miles away), friends or family you could stay with when you evacuate, pet-friendly evacuation centers or hotels, animal shelters or boarding facilities that could look after your pet, and local rescue and emergency authorities. Documents such as copies of your pet’s identification papers and medical records should be kept in a waterproof protective cover in the kit. Your kit should be stored in an easy-to-carry box in a safe and dry place. Additional advice would be to know your pets’ hiding places so you can easily find them in an emergency. Practice evacuating quickly and calmly, and in taking shelter at home away from doors and windows. Practicing will help your pet get used to the routine and will reduce their stress should a disaster occur. FOUR PAWS has dispatched emergency response and disaster relief teams to many areas around the world to help animals in need after natural disasters. We provide food, medical care, and our expertise to help rescue and care for animals and reunite pets with their families. Specially-trained FOUR PAWS members evacuate, treat and vaccinate animals, as well as distribute feed and build stables. Since 2004, FOUR PAWS has delivered Disaster Relief. 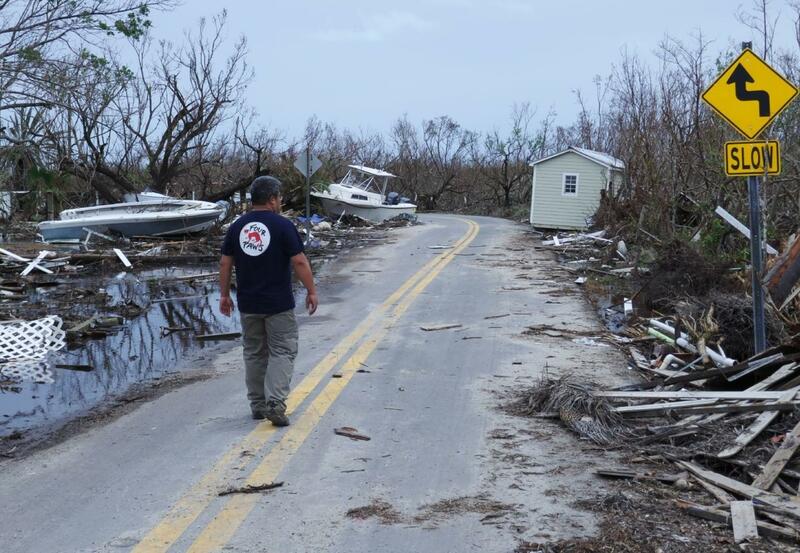 Our Disaster Relief team has been active in many countries. FOUR PAWS was recently granted the Special Consultative Status for the United Nations in July 2015 by the Economic and Social Council (ECOSOC). The consultative status for an organization enables it to actively engage with ECOSOC and its subsidiary bodies, as well as with the United Nations Secretariat, program, funds and agencies in a number of ways. The United Nations is the only multilateral international governmental organization that would consider the suffering of animals as it relates to human communities. FOUR PAWS believes animal welfare is an important pillar of humanitarian work. The organization works to have a meaningful global impact on the welfare of animals and the communities they live in. This information has also been organized into a downloadable pdf checklist and can be found here.